In the opening monologue of the movie, Jerry Maguire, Tom Cruise elucidates about the bristling excitement that comes with unearthing new sporting talent. Think of the anticipation that was palpable with the arrivals of Rory McIlroy, Andrew Luck or Lewis Hamilton onto the sporting scene. But the monologue comes with a warning, "There's genius everywhere, but until they turn pro, it's like popcorn in a pan. Some pop. Some don't." As we reach the closing stages of the 2013 African Cup of Nations, this paradigm is particularly pertinent. While the last 20 years has seen an increase of African footballers ply their trade in Europe, there's an even greater slew of Africans whose dreams to compete on the highest stage have ended in disappointment and tragedy. And we know nothing about them. In this superb article from journalist, Ian Herbert, he takes us through the story of Julien Ndomo Sabo. The documentary film, Soka Africa tells the story of Sabo, who while playing for his school team in Cameroon, was offered a golden ticket from an agent, known as "Mr Filbert". Filbert promised Sabo a chance to go to Paris to take the first steps on the path to footballing stardom. Filbert convinced Sabo's parents to sell what little assets they had to pay for Julien's plane ticket to France stating, "What’s a plot of land? What’s a little house compared to what you’re going to get?" However, there was no pot of gold once Sabo arrived in Paris. The club he arrives at is a world away from the salubrious youth programmes of teams like Barcelona or Ajax, and after failing to impress, Filbert goes A.W.O.L, and Sabo is left without accommodation, his family & friends, money, or a club. Tragic stories like this are not uncommon. Lured by potential wealth and fame, people posing as agents entice young African boys to figuratively sell the farm, just to get a plane to Europe and find that these "agents" disappear once the player stops becoming a profitable commodity. 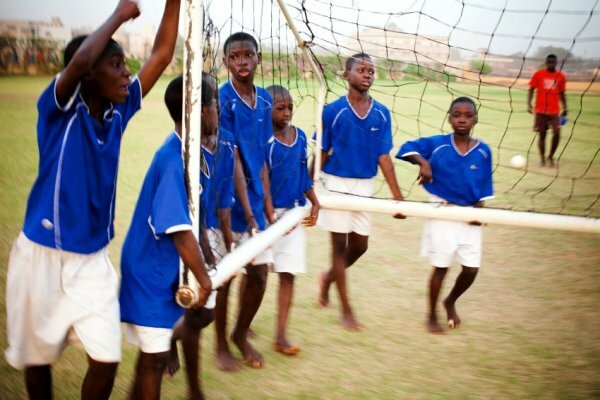 It is a problem that seems to be largely ignored by FIFA, with the slack being picked up by independent charities, such as Culture Foot Solidaire, who at one stage were monitoring the well-being of almost 1000 boys in France alone. Harrowing this all may be, but it shouldn't come as a surprise. 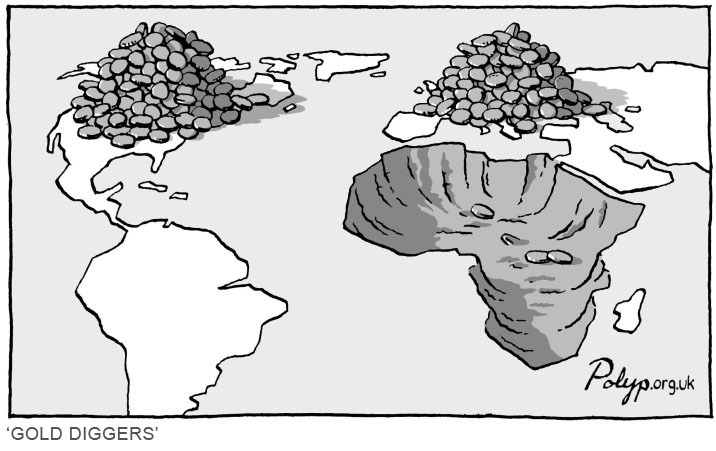 There's a reason why Africa is especially susceptible to this pattern of egregious behaviour. Sabo explains that in trying to entice him to Europe, Filbert said that players like him, "...aren't meant to stay in Africa." A line that speaks volumes. While one could point to the success of players such as Samuel Eto'o, Didier Drogba or Michael Essien as proof positive of Africa as a contemporary footballing force, the question must be asked; why are these players so keen to leave their home the first chance they get? A major reason is that Africa has no solid foundations for a footballing infrastructure. The bulk of Africa's best players come from impecunious backgrounds. There's a reason why Pele's prediction that an African nation would win the World Cup before the end of the 20th century was total folly. The continent may have the raw materials, but it doesn't have the grounding to alchemise their talents into tangible success. Which leaves talented African kids who dream of being the next Yaya Toure with little choice but to roll the dice, having to overcome the in-built privilege of their European peers. They may be all on the same playing field, but it's not a level one. How can you have, "something to fall back on", when you already live in poverty? It brings to mind a quote from the rapper, Ja Rule, who once spoke about the limited options an inner-city kid has to make something of themselves, "You either go to sell crack rock, or have a good jump shot." This isn't just a football problem, but a societal one. The exploitation of African footballers could be seen as a microcosm for the exploitation of the entire continent. Soka Africa highlights that it's not just Africa's minerals that are up for grabs, but its people. It's often forgotten that's the most precious natural resource of them all.